So my most recent expensive habit is buying vintage/job lot razors on ebay. There's a few I can't work out what they are but a couple of gems in there too. My fave is a Gillette Travel Razor I got with its original packaging. "They don't make um like they used to." Needs polishing up a tad before I use it though! What are your favourite vintage finds and where did you get them? 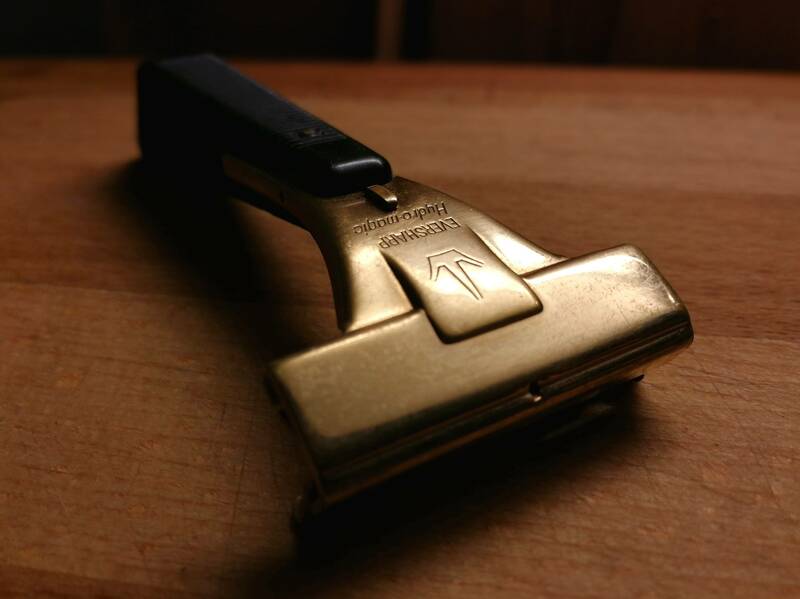 I admire the high end vintage stuff such as Darwin's cobalt steel DE and the Apollo Mikron adjustable but for quality of shave I must nominate the Gillette old type as my favourite... The ABC being the cream of the crop. For overall shaving enjoyment I have 3 favorite vintage razors. A birth quarter (E1) Red Tip, a prewar Tech and a Schick type I. Besides being wonderful shavers, these three are in 8-9/10 condition and imo are beautiful to look at. That said, to be perfectly honest my modern razors are smoother and less irritating on the neck. Very early in my wet shaving days (2012) I purchased a very scruffy looking vintage Gillette razor off eBay for next to nothing, without having any idea at all about it, apart from the fact that all the teeth looked straight and that it had an open comb. It turned out to be a Gillette Ball Handled Raised Flat Bottom Long Comb which cleaned up beautifully and is definitely my favourite razor at the moment, having not used it for a while. It provides an incredibly close, smooth shave, but I wouldn't say that it's an aggressive razor at all - in fact it is very well mannered and can't remember it ever biting me. I'm not sure that's it's my favourite razor of all time, but it is right now - ask me next month and I might well have a different favourite. It is a fantastic bit of kit though and certainly in my top five. 1) Gillette New Deluxe - I put the head on an Ikon Bulldog 85mm matte finish handle. 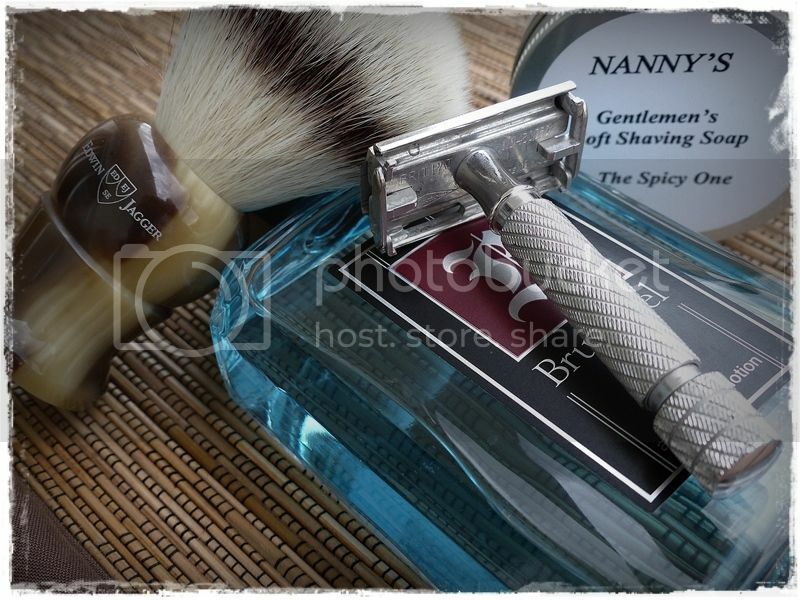 This razor when paired with a Gillette Silver Blue blade gives me consistently BBS blood and irritation free shaves. I just love shaving with this razor. 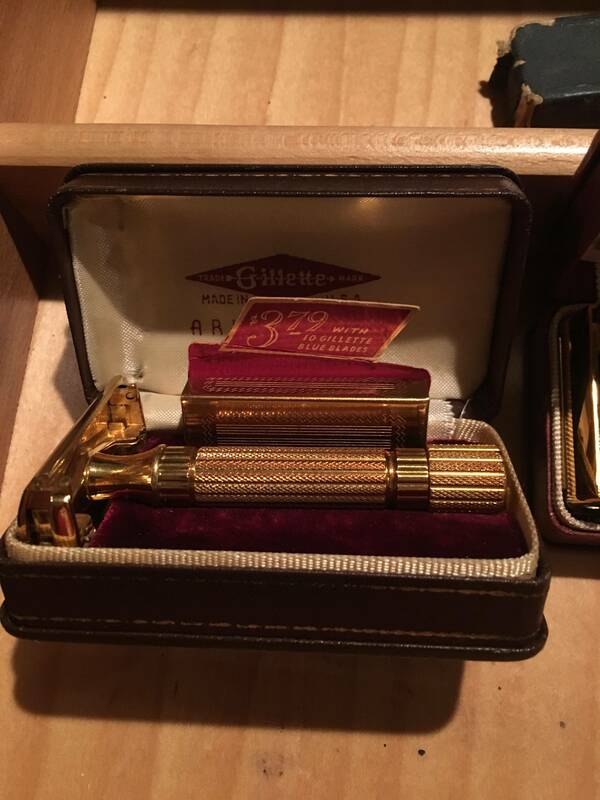 2) Gillette Old Type - This was my favorite for a long time until I discovered the New Deluxe. I would also stick this head on a bulldog or barber pole handle and love how efficient it is. I do have to be very careful with my technique as it can bite if I wasn’t paying attention. But there is still some room for error with it. 3) Gillette Slim Adjustable - I have pretty much avoided TTO razors, except this one. It is one of the only birth quarter razors (H3) out there for me which was the reason I pulled the trigger on one in an auction. I was not only pleasantly surprised when I finally shaved with it but found it gave me some great comfortable shaves. And given the vintage I can pretend to be James Bond when I shave with it. My humble Schick Eversharp Injector I2. Not rare or expensive or cool but it's unreal how good this razor is. Super-easy to use yet great results. What I reach for when I'm in a hurry. I have no idea why these could not compete with carts. Why is nobody manufacturing these? 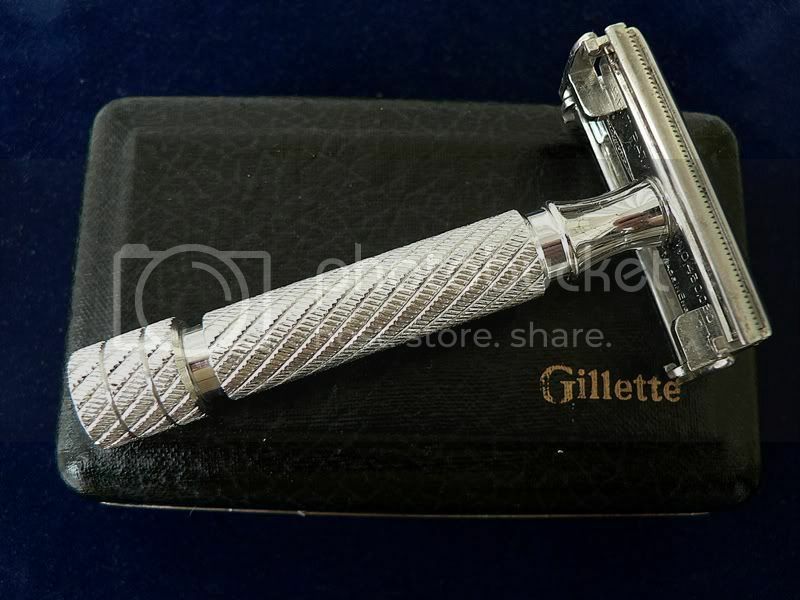 My answer will be easy as I have only one vintage razor in my collection and it is a Gillette 1931 Good Will made at 40 miles from home (It was made in Montreal, Canada). It is far from being in top shape, but it is very usable and deliver suprisingly good and comfortable close shave! I also still have some 1961 Gillette Blue Blade that were also made in Montreal, Canada! Lately, a humble Schick Krona with a Crystal blade is seeing the most use - I bought it on the 'bay for less than 12 dollars shipped. So, that's my favorite right now. I have a soft spot for Wilkinson Sword Sticky's. Cannot decide between the NEW and the Red Tip. 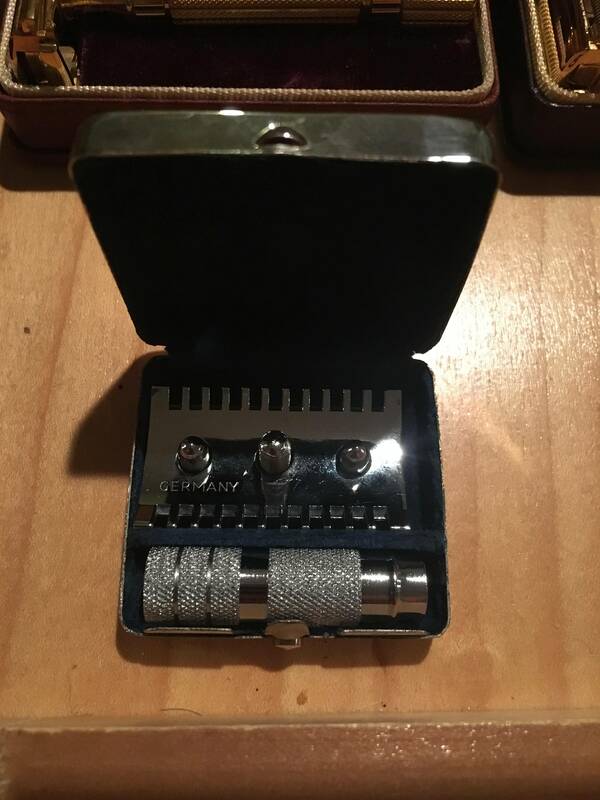 (04-11-2019, 07:35 PM)norton Wrote: Lately, a humble Schick Krona with a Crystal blade is seeing the most use - I bought it on the 'bay for less than 12 dollars shipped. So, that's my favorite right now. Crystals were the first blades I bought in bulk. They’re very smooth on my face regardless of which razor I use. They seem to be relatively unheralded and somewhat under appreciated. 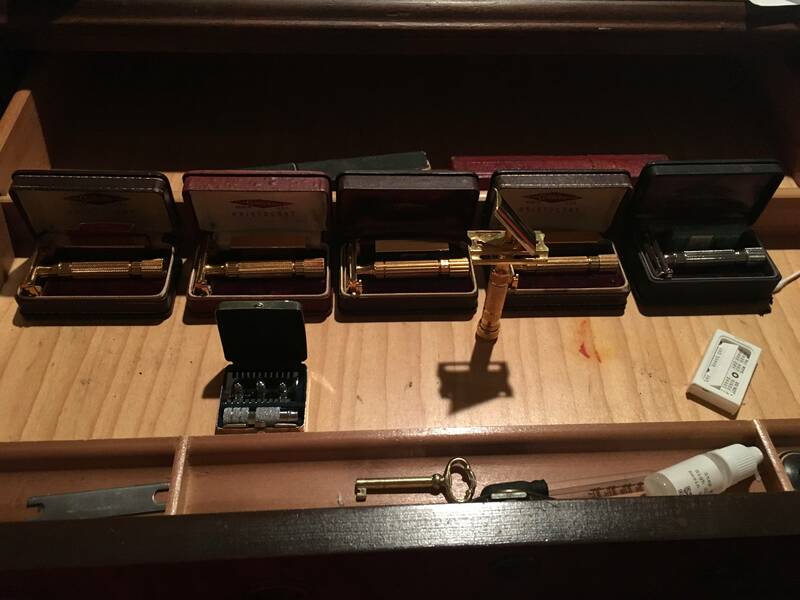 My favorite is the 1946-47 Gillette Aristocrat! I bought enough for myself, and one that is mint for each of my sons. I also like that little travel razor that was never used, and the Segal SB that appears to have never been used. Indeed - a smooth, consistent blade. It's all about the results. Crystals are fun. 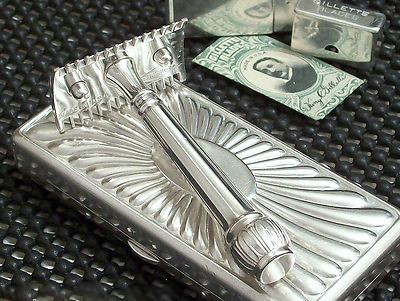 if you want a good mild and efficient vintage razor for yourself or your favorite newbie PIF. look at the Travel Techs, most were hardly used and kept in a case, NOS can be found at a reasonable price, the funny little (although functional) handle generally keeps the price down. with a proper handle the epitome of mild and efficient. 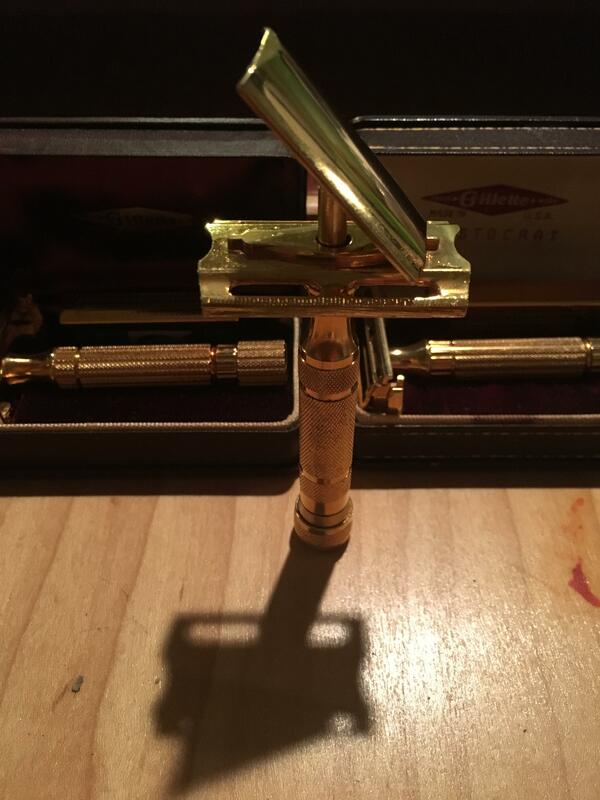 For sentimental reasons, my 1957 Gillette Super speed. It belonged to my late father. It's simply in great shape.